Sushi. The one meal I never have to beg her to eat! Amazing! She loooooves raw salmon and yellow tail. 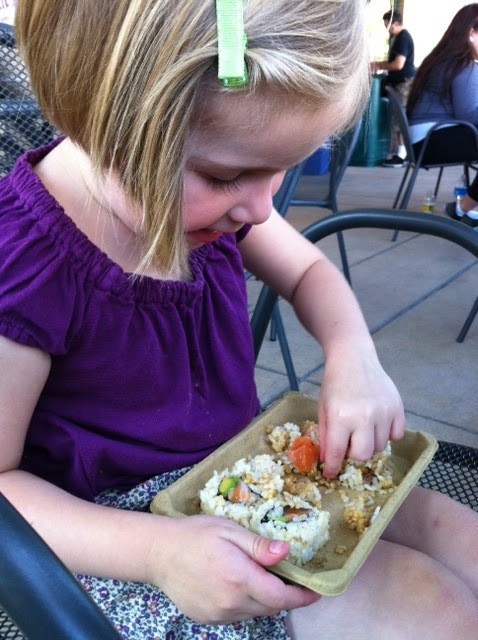 In fact, she dislikes California Rolls. I can’t eat sushi while I’m on my “fertility diet” so we stopped at Whole Foods for her sushi and my salad bar.